Actress, Mimi Orjiekwe who took to instagram some days ago to share photos of herself, daughter and nanny on their way to Dubai in a first class. 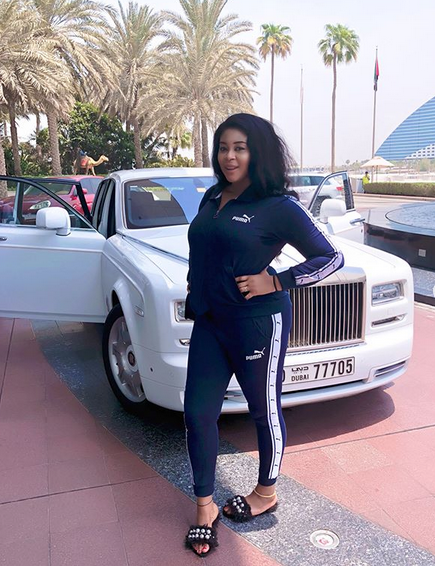 Fans reacted to the images and asking if she most flaunt it on their faces, calling her a bush woman. 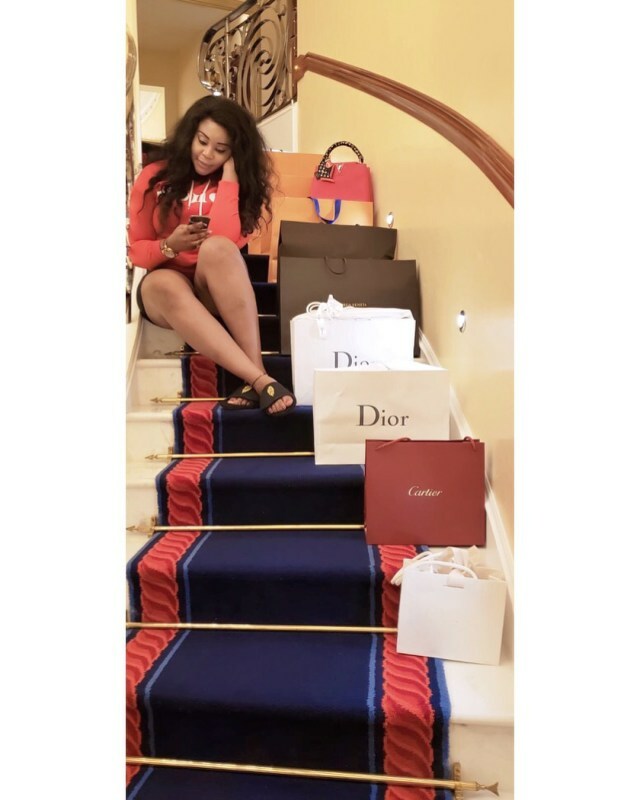 The actress has taken to her IG account to share more images after a shopping spray, which included so many top designer bags, she falunted them as seen on the image, well arraigned so you can see them all.